This lovely little gem found in the squatty looking bottle was actually quite a surprise for the relatively budget price point. 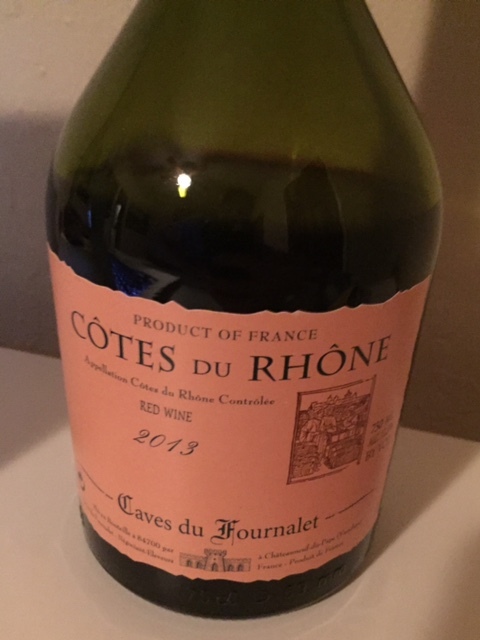 Cotes du Rhone is still one of the worlds best wine values if you can find those that match up well with your palate. They are often a touch rustic for some people as they are no doubt French and have an earthy side. I suggest giving this one a go because it's not only in a romantic looking bottle, but it's quite nice for the price! On the nose the wine displays your typical Cotes du Rhone characteristics of earthy blackberry, black chery, dried herbs, and hints of organic gravel.